Join Formula Botanica for a our last free webinar for 2015! 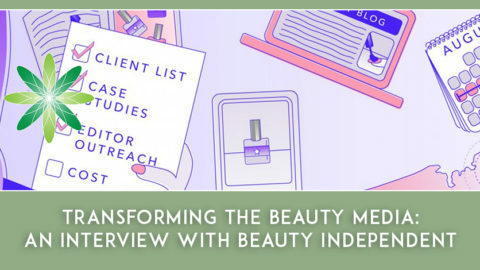 For our Beauty Business Webinar Series so far we have been joined by special expert guest speakers from all over the world to help you understand cosmetics and building your beauty business. 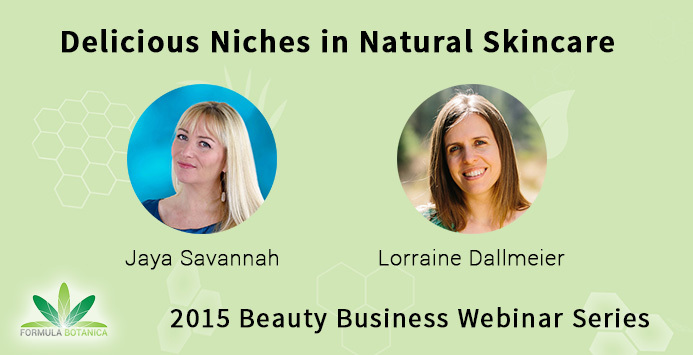 In this last webinar in the series, we are joined by Jaya Savannah to learn about finding your skincare niche. Jaya works extensively in the mind, body, spirit sectors as a manager, solo practitioner, and as a business coach and consultant for holistic-minded entrepreneurs. Jaya is also a speaker at industry events such as The International Esthetics, Cosmetics, and Spa Conferences (IECSC); The Day Spa Expo; and Mind Body Spirit Conference. She is an affiliate spa consultant for Preston, Inc.; affiliate business coach for Wellness Capital Management and NAMASTA North American Studio Alliance; and a former Advisory Board Member of The Day Spa Association (DSA.) She has been published in industry magazines that include Dermascope, NailPro, Open Exchange, and Yogi Business Times. She is also a Certified Life Coach. How do you create a natural skincare brand that is unique? Your packaging is gorgeous, but there is always someone else with a bigger budget to compete with. If more people would just try your products, you know they will love them! Maybe you’ve even thought about expanding your line in order to attract more people. Hold on, before you lay out more cash on inventory and safety testing, understand that bigger is not always better. The secret to standing out in an increasingly crowded marketplace is to niche your range of products and services. Join us for an inspirational and practical webinar with Jaya Savannah, Strategy Coach for Holistic Businesses to tap into finding your skincare niche. In Delicious Niches in Natural Skincare, you will learn about the counter-intuitive power of growing your business small. You will gain clarity about what your ideal niche should be, and equally important—what it should not be. No more nice, but bland brand for you. Let’s make your niche delish! Stay until the end for a live Q&A at the end of the webinar to ask Jaya all of your questions!